Courtesy of Blue Valley Real Estate, LLC. Large, light-filled rooms, high ceilings and stunning architectural details compliment the modern amenities that make this home stand out. Abundant entertaining space include thoughtful indoor and outdoor spaces, including an XL family room, eat-in kitchen with island, double porch and double deck. This house was made for a party! The spacious master suite includes exercise room, coffee station, and master bath with jetted tub. Two gas fireplaces, two steam showers and a two car garage make life in the city that much more enjoyable. This home is located in the heart of the Fan near exciting restaurants and parks, and is close enough to walk to concerts and events. Please, send me more information on this property: MLS# 1904274 – $849,000 – 1422 Grove Avenue, Richmond, VA 23220. 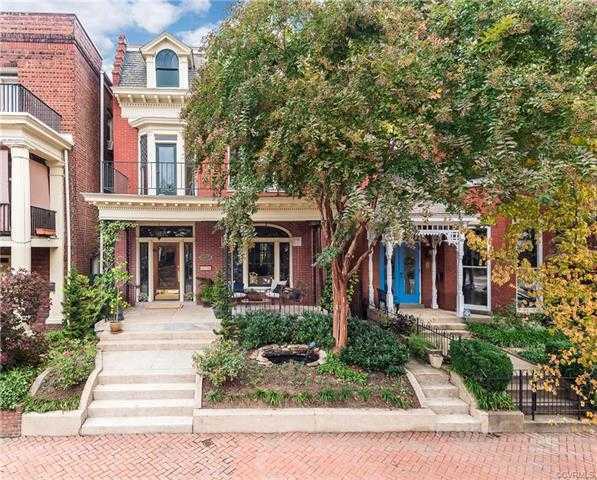 I would like to schedule a showing appointment for this property: MLS# 1904274 – $849,000 – 1422 Grove Avenue, Richmond, VA 23220.